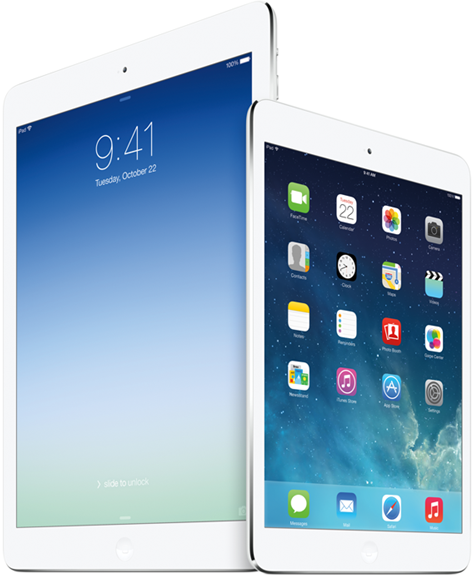 iPad Air and iPad Mini 2 with Retina Display is now getting some serious attention of consumers from all over the world after its official released, so if you're one of the those Apple iDevice user who wants to purchase the all new iPad Air or iPad Mini 2 Retina device for yourself in future than this post will surely help you out in your decision making. As we know Apple is now offering four major iPad tablets to consumers i.e. iPad Air, Retina iPad Mini 2, iPad Mini and iPad 2 and all four devices are fully loaded with high-end advanced features and specifications, we have already posted a Review of iPad Air and Review of iPad Mini 2 Retina and now we have gathered an Infographic Comparison of iPad Mini 2 Retina vs. iPad Air vs. iPad 2 vs. iPad Mini Features, Specifications and Price for our users who are confused which iPad tablet device to be purchased. Following Infographic will also provide you a guide and info regarding Best Available iPad and iPad Mini Tablets from Apple.